The Little Mermaid, Jr. by Alan Menken and Doug Wright, is the story of Ariel, a beautiful young mermaid who longs to live on land. 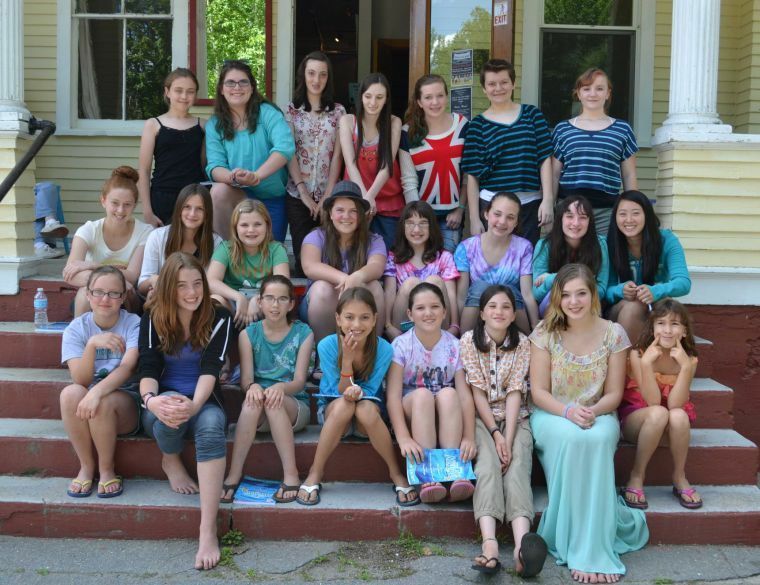 At Schoolhouse, the musical is directed by Ben Potvin and will be performed by a cast of more than 20 local children. Performances will be held Friday, Aug. 23, at 7 p.m., Aug. 24 at 4 and 7 p.m. and Sunday, Aug. 25 at 2 p.m.
Tickets are $10 for adults, $8 for students and seniors, and $5 for children under 5 years old. Schoolhouse Arts Center is located at 16 Richville Road (Route 114) in Standish, just north of the intersection of routes 114 and 35. Call 642-3743 for reservations or buy tickets online at www.schoolhousearts.org. The cast of Disney’s “The Little Mermaid, Jr.” at Schoolhouse Arts Center includes front row, from left, Delaney Clifford, Sophie Sturdee, Lorien Fish, Maya Lee, Delaney Wright, Grace Franklin, Sandy Rush and Kylie Shields. In middle row, from left, Celeste Fish, Mercy Dunn, Jensen Giroux, Bridgett Daigle, Valerie Lind, Katie Lind, Paige Goldstein and Nina Greenwood. Back row, from left, are Marissa Morrissette, Elyssa Franklin, Bryanna Franklin, Sam Langley, Morgan Brann and Alice McMachen. Missing from photo is Arlo Stevenson.